John McKay, United States Attorney for the Western District of Washington announced that, on February 20, 2003, United States Magistrate Judge Ricardo S. Martinez issued warrants for the arrest of STEVEN N.S. CHEUNG and his wife, LINDA SU (also known as LINDA SU CHEUNG), for their failure to appear in court last week. A federal grand jury returned an indictment against the CHEUNGs on January 28, 2003. STEVEN N.S. CHEUNG was named in all thirteen counts of the indictment, charging him with Conspiracy to Defraud the United States, six counts of filing false income tax returns, and six counts of filing false foreign bank account reports. LINDA SU CHEUNG was charged as a defendant in the offense of Conspiracy to Defraud the United States and the Internal Revenue Service. At the time of the filing of the indictment, the prosecutor requested the Court to issue a summons to each defendant. 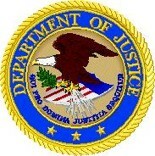 A summons was issued to the defendants at three locations: the defendants’ residence in Seattle, their residence in Hong Kong, and their attorneys’ law offices in Seattle. The summons permitted the defendants to self-surrender in the United States and to appear before a United States Magistrate Judge for their initial court hearing. The summons required the defendants to appear in federal court for their arraignment at 9:00 a.m., on February 20, 2003. An arraignment is a hearing during which the defendants and their attorneys enter a formal appearance in the case. The arraignment is conducted in open court and involves the reading of the indictment to the defendants. At an arraignment, the magistrate judge asks the defendant to plead to the indictment, at which time the defendant may plead “not guilty” or “guilty.” If the defendant enters a plea of “not guilty,” then the magistrate court will set the matter over for a trial and will advise the defendants of the date on which their trial will commence. On February 20, 2003, the prosecutor appeared for the arraignment of the defendants in this matter. However, STEVEN N.S. CHEUNG and LINDA SU CHEUNG did not appear for their mandatory court hearing. The prosecutor requested the magistrate judge to issue warrants for their arrest based on their failure to appear. United States Magistrate Judge Ricardo S. Martinez granted the prosecutor’s request and immediately issued warrants for the arrest of STEVEN N.S. CHEUNG and LINDA SU CHEUNG. In the United States: the tip line at the United States Attorney’s Office in Seattle, Washington, USA, at 002-1-206-553-7834. In Hong Kong: For further information, please contact Executive Assistant U.S. Attorney John Hartingh at 002-1-206-553-4110.